Scotland has an abundance of fishing venues perfect for hosting fishing days, breaks and corporate fishing events. When running any fishing event, the event and the venue undergo a risk assessment and this can be supplied to the booking agent. Our fishing guides in Scotland are trained first aiders and focus on safety as well as the enjoyment of the fishing event. 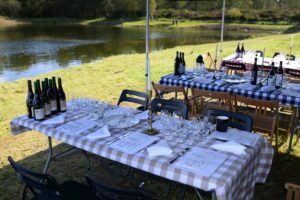 The event above had four enjoyable event experiences rolled into one: Fly Fishing lessons for beginners, Food Foraging, Wine Tasting and a Gourmet Outdoor Fishing Lunch. 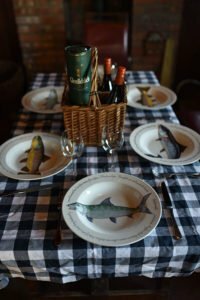 Ultimately it comes down to selecting the best fishing venue for each particular group of clients and this is where we can help. 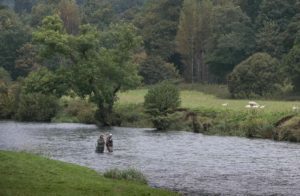 Contact Us with your requirements and we can shape a proposal which delivers a Memorable Fishing Experience.